Joanna Lige is a native of Kelowna and began her dance training at age six with the Canadian School of Ballet where she studied ballet, jazz, and modern attaining her Royal Academy of Dancing Advanced 2 level. After numerous summer intensive studies with The Royal Winnipeg Ballet School, The Banff Centre for the Arts, and performances at The B.C. Festival of the Arts; she decided to further her training at the School of Toronto Dance Theatre’s professional training program. As a scholarship student, she was exposed to many modern dance styles. After graduation in 2002 she moved back to Kelowna and performed with the Velocity Dance Company for 2 seasons in conjunction with teaching at the Canadian School of Ballet. 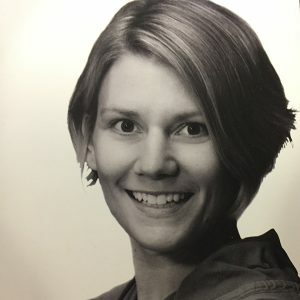 After taking a year off in 2005 to travel through New Zealand, Australia, China, Taiwan, and Thailand, Joanna returned to Kelowna and began teaching at Creator’s Art Centre in the fall of 2006. Joanna completed her Diploma in Dance Teaching Studies through the Royal Academy of Dance with Distinction in 2017. Joanna’s goal is to inspire each person to dance their true self and for each dancer to feel blessed in the gift of sharing spirit through movement. Joanna continues to attend workshops and programs, loves the outdoors and being active. It is a love of nature that keeps Joanna inspired, connected, and growing in her movement vocabulary.